The fictional K-Pop group featuring Akali, Ahri, Kai’Sa, and Evelynn has taken over the League community. It didn’t take long for K/DA, the fictional K-Pop group created by Riot Games for League of Legends, to completely flood the game’s fan community. Already, the group’s members (Akali, Ahri, Kai’Sa, and Evelynn) have been plastered throughout Reddit, Twitter, the game’s forums, and Universe, League’s lore platform. But it doesn’t stop there, because they even have their own artist page on Spotify as of today, allowing the music streaming service’s users to flip the group’s so-far-only song to repeat. That’s the best we’ll be able to do until Riot releases a full album. No, that’s not confirmed by any means, but we can still dream, can’t we? This isn’t exactly an uncommon practice for Riot. The company did the same thing for Pentakill, which is another fictional music group containing League champions. Both albums released by this virtual heavy metal band are on Spotify, too, and they’re both under Pentakill’s official artist page as well. There is one big difference, however. None of Pentakill’s songs, which feature artists from various bands and other standalone names, mention the IRL singers or other artists involved. At least Riot paid due credit to Jaira Burns, Madison Beer, and (G)I-DLE for POP/STAR, though, because it’s nothing short of a smash hit in the gaming world. There are 10 different posts all on the front page of the League Reddit community today of K/DA and their new song. Some feature impressive fan art, while others are simply reporting news of K/DA as Riot releases it. 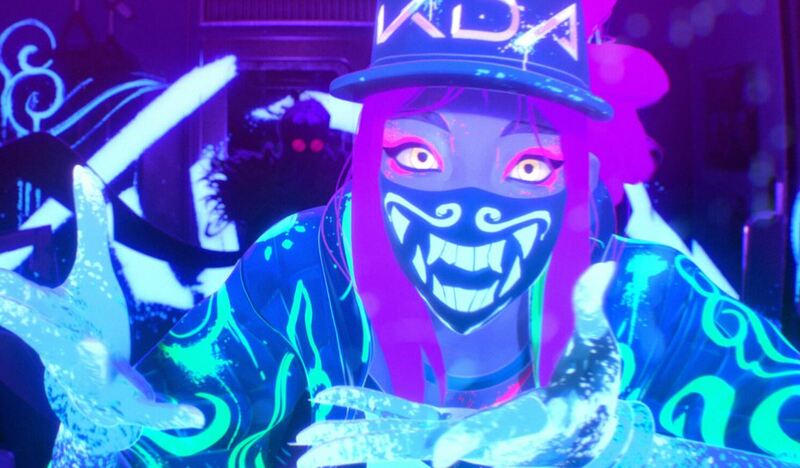 Either way, one thing is clear—the people love K/DA, and we doubt Riot is going to forget that any time soon. At least, we hope Riot doesn’t (album now, please).